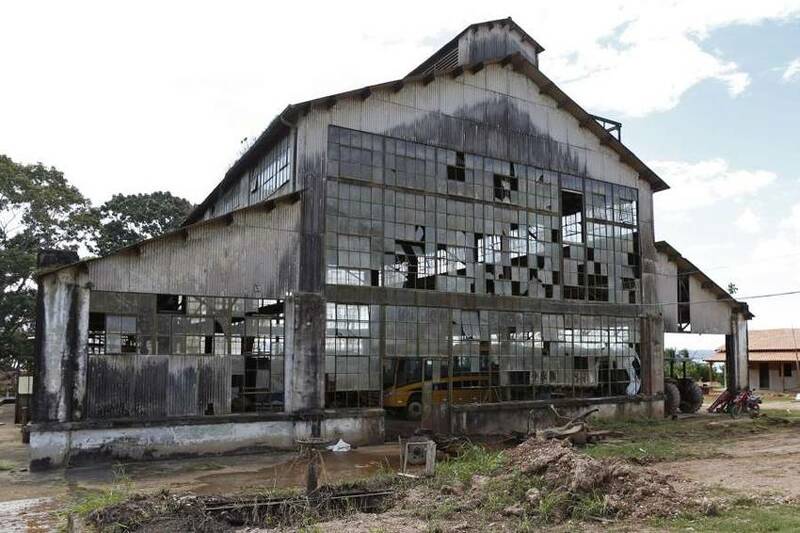 A general view of one of the factory buildings in Fordlandia on July 5, 2017 in Aveiro, Brazil. American industrialist Henry Ford negotiated the rights to 2.5 million acres of land from the Brazilian government to establish a rubber plantation. Construction started in 1926 with the hopes of employing 10,000 workers. By 1945 the project was considered a failure and the land was given back to the Brazilian government.